The purpose of emergency lighting is to provide prompt and adequate lighting for a specific time in a specified area when the normal lighting fails due to an emergency situation such as a fire. 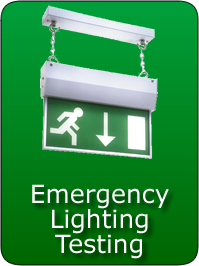 Emergency lighting will normally illuminate escape routes and fire exits. Emergency escape lighting should be activated not only on complete failure of the supply to the normal lighting but also on localised failure such as a final circuit failure. It is worth noting that emergency lighting does not have to be designed to enable normal operations to be continued on the premises in the event of failure of normal or standby lighting. As with a fire alarm system emergency lighting should be checked by a responsible person on a daily basis and tested for operation on a monthly basis. Additionally it should be tested and inspected on a annual basis by a suitably qualified engineer and results recorded in a log book. 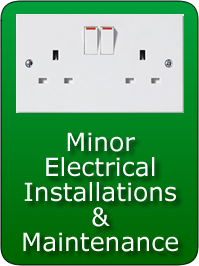 Wirral PAT engineers are qualified to conduct the annual testing of emergency lighting. This can be arranged to take place at the same time as fire alarm testing. 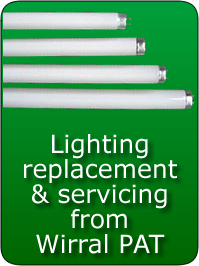 Contact us today for a competitive quote and to discuss our annual emergency lighting testing contracts. 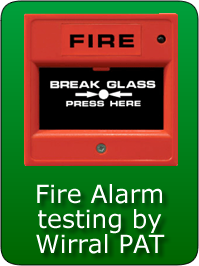 You may also be interested in our fire alarm testing.